However, things didn't work out the way he had expected. First, negotiators came to an agreement in principle to fund the government beyond Friday without any input from the president and without $5.7 billion for a wall. Furthermore, his rally was dwarfed in size by a competing rally across town held by possible Democratic presidential candidate Beto O'Rourke. ​Juan Carlos Ruiz, cofounder of the New Sanctuary Movement, joined Radio Sputnik's Loud & Clear Tuesday to discuss Trump's stance on immigration. On Tuesday, US Senator Richard Shelby announced that the lawmakers had reached an agreement on border security that would avert another government shutdown after the one that ended recently, when congressional Democrats refused to provide funding for a physical barrier on the US border with Mexico, Sputnik previously reported. Although Trump had asked Congress to authorize $5.7 billion to build the wall, lawmakers agreed Monday to allocate around $1.4 billion. ​"We have to understand that there are no checks and balances any longer in this detention and deportation policy," Ruiz told hosts John Kiriakou and Brian Becker. "Given the state of affairs in our country, we have to look into waste of money and the cost in terms of human rights violations that immigrant communities are really suffering. We need to talk about comprehensive, human solutions to this. We have in place a virtual wall already. We need to talk about a different approach. It isn't working. If we really want to talk about security, let's have meaningful, realistic conversation, but putting up a wall is not going to solve anything," he added. 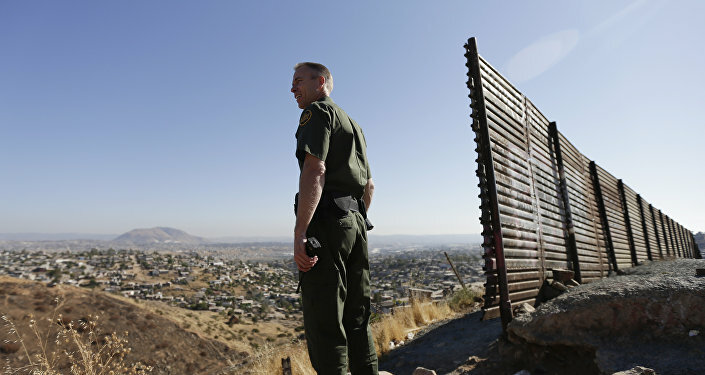 Democrats in the United States Senate recently introduced a bill called the Restrictions Against Illegitimate Declarations for Emergency Re-appropriations (RAIDER) Act, designed to prevent Trump from accessing emergency funds to build a wall along the US border with Mexico. The legislation would "prohibit the use of amounts appropriated for military construction or the Army Corps of Engineers for the construction of barriers, land acquisition or any other associated activities on the southern border without specific statutory authorization from Congress," Sputnik previously reported. In other words, the legislation would prevent the president from using military and disaster relief funds to build the wall in the event that he declares a national emergency, as he has repeatedly taunted. On Tuesday, however, Trump tweeted that he will find other means to redirect money in the federal government toward building his wall. "Was just presented the concept and parameters of the Border Security Deal by hard working Senator Richard Shelby," Trump tweeted. "Looking over all aspects knowing that this will be hooked up with lots of money from other sources." "Will be getting almost $23 BILLION for Border Security," he added. "Regardless of Wall money, it is being built as we speak!" According to Ruiz, Trump undermined the security he claims as justification for building the wall when he partially shut down the government for more than three weeks last month. He recalled when Transportation Security Administration staff were furloughed just weeks ago, which inflicted "a lot of suffering on thousands of people." "In the long run, it's a recipe for disaster. He's basically undermining what he is upholding to be his goal [in terms of security]. We need to call his bluff," Ruiz added.